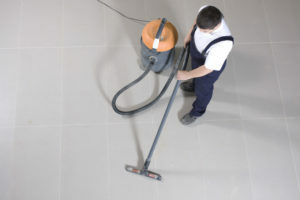 Many businesses consider the hiring of a commercial cleaning service as being too expensive. They feel they can just get by with having their current employees handling their janitorial needs. Although they feel they are in the long run they are saving money, unfortunately, this does not end up being the case. In the end, most businesses learn that they are creating more problems than anything. The first area that begins to suffer, with the delegation of janitorial work to your employees, is overall productivity. If you have your employees performing your necessary janitorial work, you are only succeeding in taking them away from their principal focus—that of helping clients and improving your business’ bottom line. However, with the hiring of a commercial cleaning service, you will have peace of mind that your cleaning needs are being met, and your employees are able to do what they were hired for—make you money. A truly win-win situation. Secondly, during the much-dreaded cold and flu season, the hiring of a commercial cleaning service can ensure that your workplace is being kept clean and sanitized. We all know that those pesky winter cold and flu viruses are everywhere, just laying in wait for the chance to infect your employees. Sick employees mean missed sick days. Missed sick days means work piles up and at times gets backlogged. This is not good for business. A commercial cleaning service can make sure your workplace is sanitized and clean which in turn will keep those problem causing viruses away. Lastly, you can rest assured that when you use a commercial cleaning service, you are getting the best job done, by the best individuals in the business. Commercial cleaners clean for a living, and as such they are experts at what they do. You will have peace of mind that you have the best people on the job and that the job will not only get done but get done right the first time. The hiring of a commercial cleaning service is really the best move any business can make. You will have a cleaner, healthier workplace and your employees will thrive at what they do. In the end, this will save you both time and money—what all business owners truly desire.